As a currency trader, you must be aware as to what constitutes a forex trading system. However, you may not know how to identify a good one from a scam. The aim of this article is to provide you with some information in this regard so that you can find the system that works best for you. As you know a trading system is comprised of a set of specific parameters which define the entry and exit prices for a given asset. These prices can also be considered as signals and are often marked on the chart in real time. They trigger a trade. There are pros and cons associated with making use of a trading system. The pros are that emotions are not included, they help to save a great deal of time, and you let others do the job for you. When it comes to the cons, they are very complex. You need to have a thorough understanding of the technical analysis and know how to make decisions. Further, the development of a system is a time-consuming process. The forex market is very dynamic, meaning it keeps on changing. As a result, the systems work well only for some time. If they are not updated, they become useless. Moreover, best currency trading systems are not there at all. Therefore, you should be able to incorporate changes to meet the variations in the market. Only then a system can sustain itself and be of use to you in the future. There are many traders out there looking for a system that works. Geopolitical conflicts impact the forex markets more than central bank press conferences, macroeconomic indicators, or speeches by governors of central banks. This is because these conflicts are unpredictable. They strike at the most unexpected times and move the markets a great deal. Therefore, you must observe all of the events that are happening around the world and carefully evaluate them in order to predict the consequences of these events on the prices of currencies. Geopolitical unrest can impact the prices of most financial instruments, but some assets gain because of political disturbances. These ‘safe-haven assets’ include the JPY, Swiss franc, gold, silver, and the USD. The point is that you should know the forex pairs that are connected with the geopolitical conflict involved before placing trades. These might not make the best forex trading system, but there are several moving average variations. The most popular one is the Simple Moving Average (SMA) and it represents the simple average of the price of a security over a specified period of time. The Exponential Moving Average (EMA) gives more weight to the recent prices. When employing this trading strategy, it is suggested that you work out and consider moving averages for 7, 21, 30, 50, 100, and 200 days. As soon as you find a moving average that works best for an instrument, search for the candlestick patterns emerging around the moving average. This is an easy-to-use forex trading system, but it is important to test it through demo accounts before implementing it. Also, it is essential that implement a money management strategy when using a trading system. You should also employ the stop-loss strategy in order to safeguard your account. 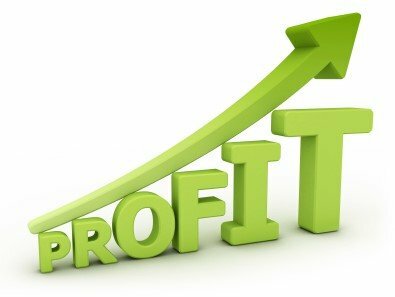 Scalping is an effective way of making returns faster, especially if you cannot spend a lot of in front of the personal computer. In this system, a slow Exponential Moving Average and a default Stochastic are employed. The latter is relatively faster compared to the EMA on the one-minute USD/JPY chart. The USD/JPY pair is used as it provides the best results. Further, this currency pair is characterized by medium risk and volatility and risk. This makes it perfect for scalping. No forex trading system works well 100 percent of the time. Actually, the most profitable system involves a known strategy which you can follow consistently with confidence. You do not fail because of flaws in the system, but due to lack of discipline. If you are new to forex trading, you will quickly realize that different tools are available for trading and there is a lot of space for creativity. Sometimes, you will adopt a strategy and then adjust it to your liking. You will have to start from the basics and slowly create your own charting techniques, technical and fundamental indicators, and style of trading. You need to then continuously mold your strategy and system, incorporating new tricks and/or eliminating the obsolete ones. In simple terms, your forex trading system changes with you, you will change with the market, and the market changes with time. Some examples of trading systems based on certain factors have been discussed in this article. If you decide to design your own professional currency trading system, then you must take into consideration the situations and factors that impact the forex market. In addition, you will have to have a clear understanding of the technical aspects related to the system in order to create a high-quality workable product. By now you must have also realized that choosing a good forex trading system or creating one on your own is a laborious task. You must be prepared to spend some time and resources for the purpose. Similarly, it is not very easy to identify the most profitable forex trading system. This is because everything depends on your preferences. A variety of aspects have to be taken into consideration. Typically, trending strategies do not perform well in ranging markets and long-term strategies fail when short time frames are employed. If you are an aggressive trader, you don’t want to wait for 30 days to lock in profits. However, careful traders often do not risk their money by involving in day trading.